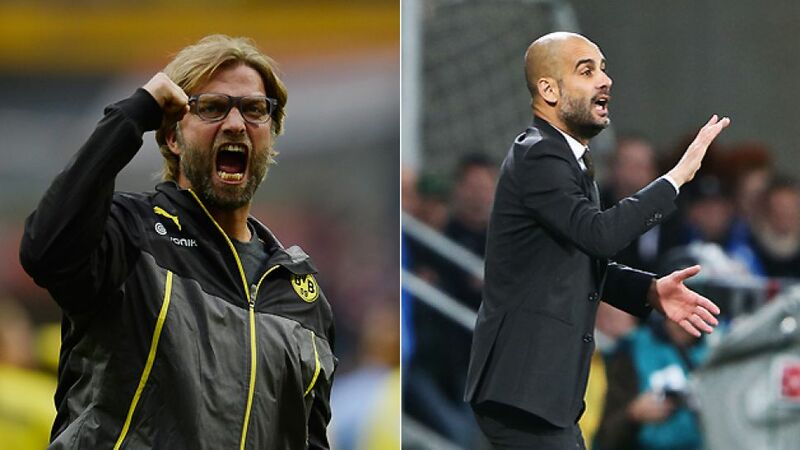 Munich - Borussia Dortmund host FC Bayern München in the Bundesliga on Saturday evening of Matchday 13. It is, however, a game whose consequences reach far beyond German borders. Interest in the Bundesliga has never been higher, and bundesliga.com rounded up the views of the international press ahead of the mouthwatering Klassiker. Mundo Deportivo: The game will have all eyes on it, the duel between the two German giants is the match of the day and justifiably dominating all the attention. Die Welt: A clasico in German. When Dortmund host quadruple-winners and table leaders FC Bayern München on Saturday night, the game could go a long way to deciding who wins the title. Previous contests have taught us though, that sparks always fly between these two. Kicker: The big game. Bayern in Dortmund. First against second. DFL Supercup rerun, Champions League final rerun. A game to invigorate Germany. Dr. Reinhard Rauball (Borussia Dortmund Club President, League President): The whole Bundesliga will be watching this match. It will also have an international resonance like the Champions League final, which has gained us worldwide recognition. Uli Hoeneß (FC Bayern München Club President): Both teams are developing into the outstanding sides in the Bundesliga. Over the next few years, I can certainly see this game being classed alongside Real Madrid against Barcelona. Karl-Heinz Riedle (1997 UEFA Champions League winner with Dortmund): I certainly think Dortmund can win. I hope they do so that the Bundesliga is as exciting as possible. They've got a fantastic side who are impressing again this season, but three points are crucial, otherwise Bayern will be clearly in front. Philipp Lahm (FC Bayern München club captain): It's a huge game. The whole Bundesliga should be looking forward to this one. Thomas Müller (FC Bayern München attacker): This game just oozes tradition. The stadium is always jam-packed, and last season they were such close contests. Jerome Boateng (FC Bayern München defender): We're not even thinking about defeat. We're on a great run and go to Dortmund targeting three points. Benedikt Höwedes (FC Schalke 04 captain): That these two sides contested the Champions League final shows what level they're at. It's a face-off between the two best German teams and will certainly be a real battle. Both FC Bayern München and Borussia Dortmund are battling injuries, but here's what might have happened had Mats Hummels, Marcel Schmelzer and Franck Ribery been fit for Saturday's Klassiker. All this and much more on the official Bundesliga YouTube channel!